Bookmakers and sports organisations top the list of donors treating MPs to gifts and hospitality, leading to claims that the gambling industry is "desperate" to influence Parliament. 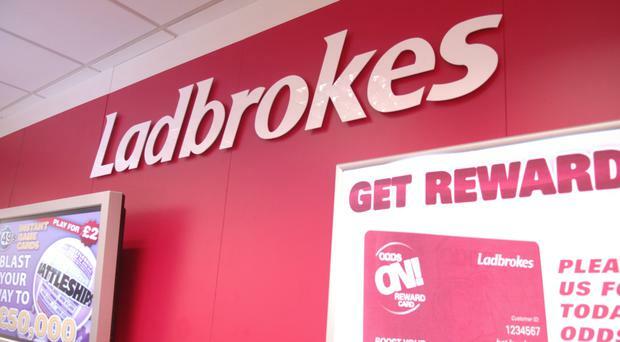 Analysis of declarations in the Register of Members' Interests revealed the Ladbrokes Coral group appeared 15 times - more than any other donor. The BBC analysis found that, out of 187 donations from UK sources registered by MPs, 58 were from the world of sport with a further 19 from betting companies. MPs are required to register gifts or hospitality if the total received from a single source exceeds £300 in a year. In the most recent update of the register, published on August 29, t he Ladbrokes Coral Group accounted for 15 entries, including trips to Ascot, Doncaster and Cheltenham races, the Community Shield at Wembley and dinner at the Conservative Party conference. Matt Zarb-Cousin, a spokesman for the Campaign for Fairer Gambling, claimed the industry is trying to "wine and dine" MPs before the Government responds to a review of fixed-odds betting terminals (FOBTs), the high-stakes machines in many high street bookies. A spokesman for Ladbrokes Coral told the BBC: "We employ over 25,000 people, we have a high street presence in nearly every constituency in the land and pay UK taxes of circa £55 million per annum. "Of course we engage with politicians; we want to make sure that when decisions are taken that affect our 25,000 people, they are done from a position of knowledge." But Mr Zarb-Cousin, a former spokesman for Labour leader Jeremy Corbyn, said: "The bookmakers are desperate to keep their FOBTs at £100 a spin, so they're throwing as much money as they can at lobbying MPs before the Government responds to the review in October. "But it says a lot about the strength of their argument that they need to wine and dine politicians to get them onside." Altogether, the Ladbrokes Coral group of companies donated £7,475-worth of hospitality to four MPs - Conservatives Philip Davies on eight occasions, Laurence Robertson on four occasions and Therese Coffey twice, and Labour's Conor McGinn once. Shipley MP Mr Davies said: "I am the elected chairman of the All Party Parliamentary Group for Betting and Gaming - and a former bookmaker - so of course I meet with bookmakers. "It would be rather extraordinary if I didn't." Tewkesbury MP Mr Robertson said: "I represent the Cheltenham racecourse and am also joint chairman of the All Party Parliamentary Group on Racing and Bloodstock, so have responsibilities in this area. The largest individual donor was the Road Haulage Association, which funds a researcher in Dover MP Charlie Elphicke's office at a cost of £22,577. The Tory MP said: "The researcher is looking at how we can be ready on day one for Brexit - particularly at the Dover front line. This is vital work for both my constituency and the haulage industry."